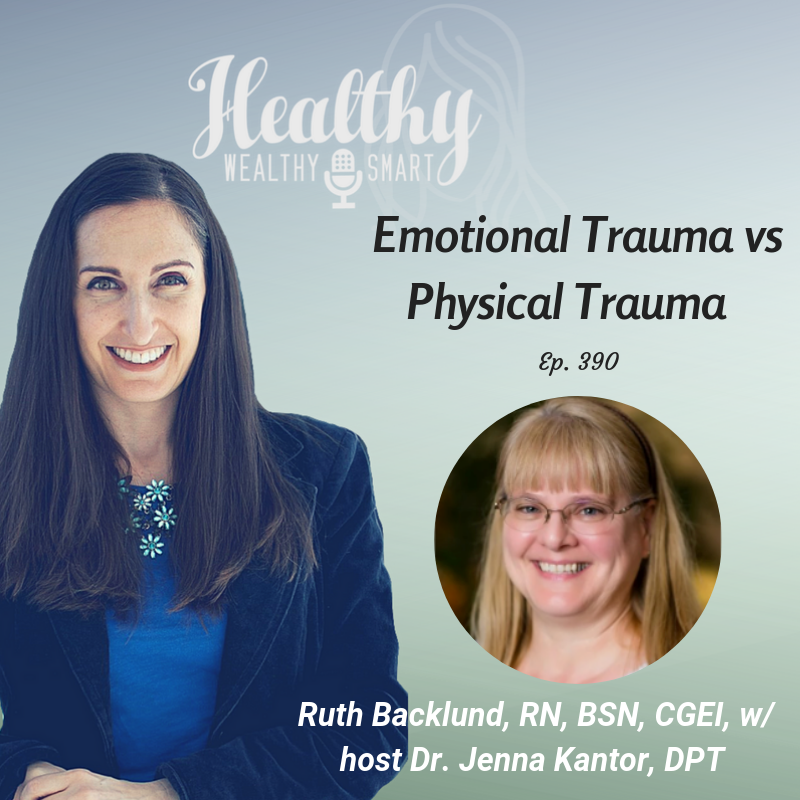 On this episode of the Healthy Wealthy and Smart Podcast, Jenna Kantor, DPT guest hosts and interviews Ruth Backlund on emotional and physical trauma. Ruth Backlund is the founder and owner of Energy Works Myofascial Release, specializing in John Barnes Myofascial Release and Active Myofascial Therapy- Irene Diamond. She helps active men and women enhance their health and well-being, improve mobility, and avoid unnecessary surgery. -Should physical therapists differentiate trauma with their patients? Founder and Owner of Energy Works Myofascial Release, specializing in John Barnes Myofascial Release and Active Myofascial Therapy- Irene Diamond. I help active men and women enhance their health and well-being, improve mobility, and avoid unnecessary surgery. I use a clinically comprehensive whole-body approach to healing through gentle myofascial stretching to decrease pain and increase range of motion. My goal is to help my clients achieve physical and emotional health and well-being by facilitating the healing journey, teaching self-care techniques, and enable sustained long-lasting relief.